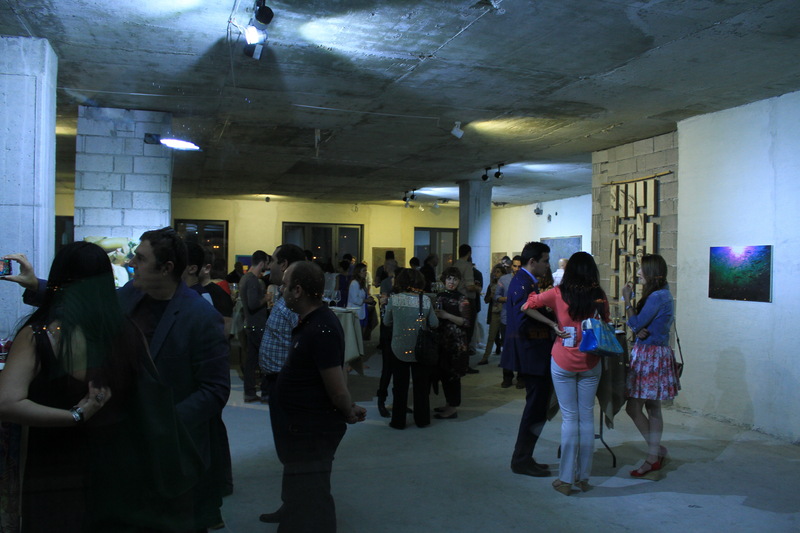 On August 28th, we opened our third exhibition « The Scale of Life », on the 6th floor of the Yerevan Residence. For the opening night, we decided to team up with DZOOK, the 1st Armenian Pop Up restaurant, which served delicious, local cured fish to our guests. DZOOK just got started by food enthusiasts Arine Aghazarian and Victoria Aleksanyan – Friday night was their grand opening! We kicked off at 7PM with fine white wine, courtesy of Karas Wines. 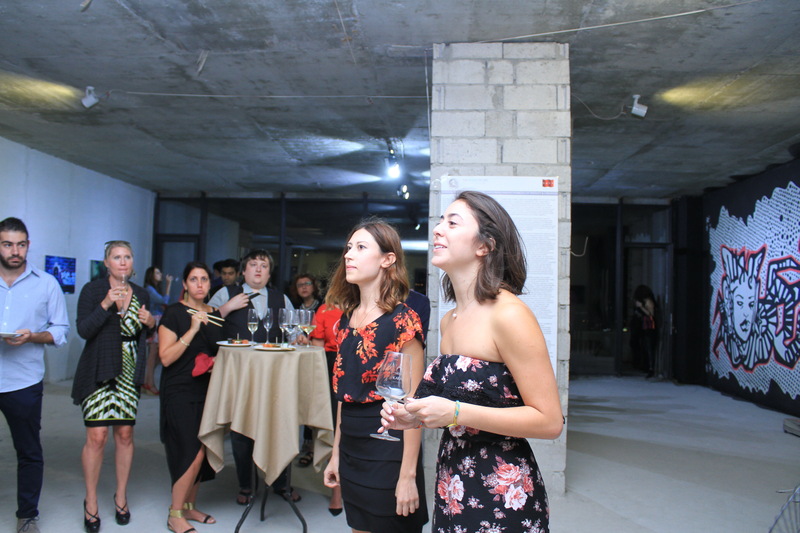 Anna K. Gargarian, curator of the exhibition, and DZOOK founders Arine Aghazarian and Victoria Aleksanyan all said a few words to welcome the guests and explain the concept of both the exhibition, and the Pop Up restaurant. 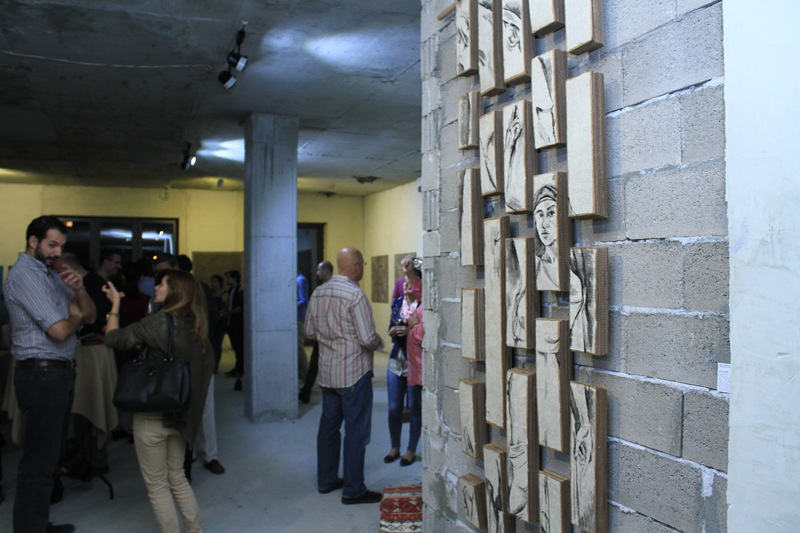 Around 100 people attended, among those delegates from the United Nations, Kolba labs, TUMO center, LUYS foundation, the US embassy, REPAT Armenia and the Armenia Tree Project… Several guests told us that « The Scale of Life » was their favorite HAYP exhibit so far. 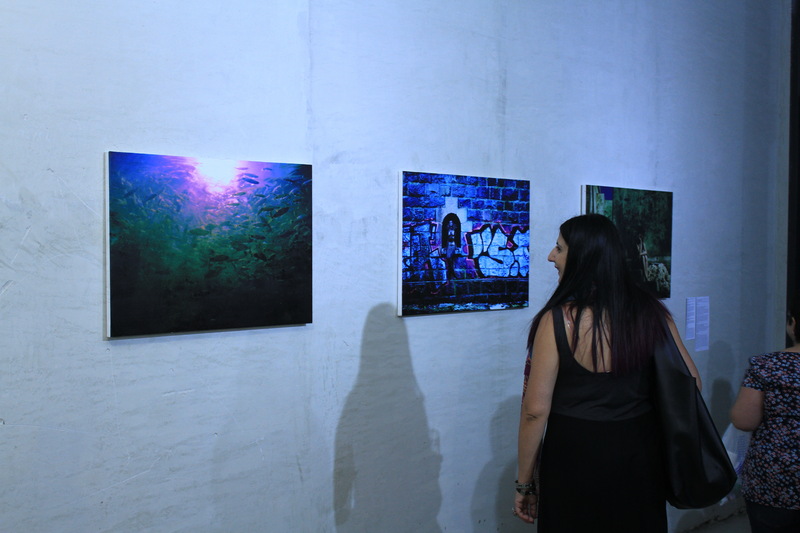 With seven artists participating in the exhibit, we had very different styles on show at the gallery; photography, installation, sculpture, painting, street art… Each artist interpreted in their own way the « Vishap », and thus reawakened this ancient symbol of life and water in pagan times. 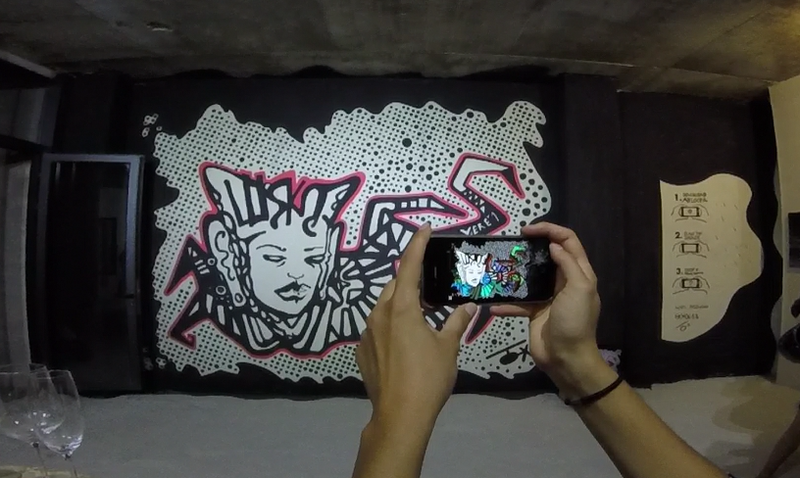 For the first time in Armenia, an augmented reality art piece was presented. “Dragonette” is a mural created by artist Luska and augmented with the technology of Arloopa, a Yerevan-based IT company. Upon downloading the free Arloopa app with their smartphones or tablets, the guests were able to enjoy a 4D artistic experience. The creature created by Luska, a woman-serpent-dragon from her “alien series”, becomes alive, and “pops out” of the wall when scanned with the Arloopa app. 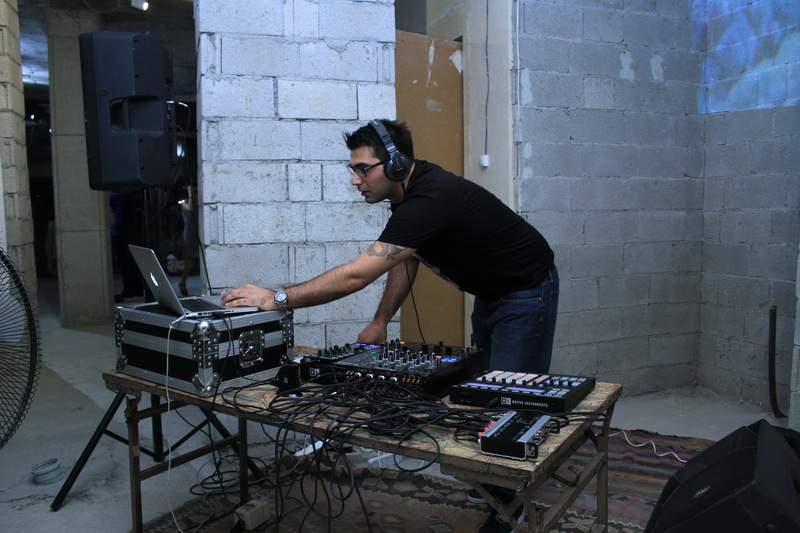 International DJ Joseph Zakarian was performing for the night, putting together his own music with the wall projection of “An interpretation of Perception’’. The film was created by Alice Dunseath, a London-based filmmaker and animator. 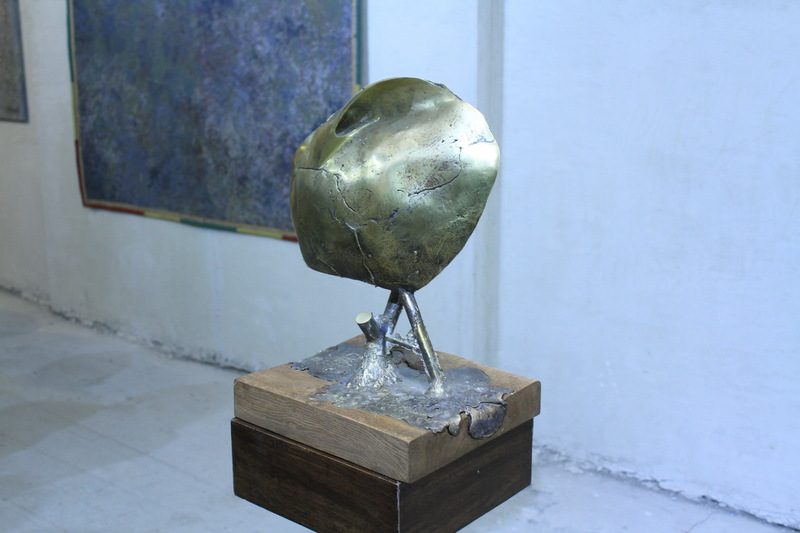 The exhibition can be visited at Yerevan residence from August 28 to September 7, everyday from 4pm to 9pm (no entrance fee). We have three more events coming up at the gallery before we close – and they’re all free! Armen is a Doctor, Archeologist, Sociologist and man of many trades! 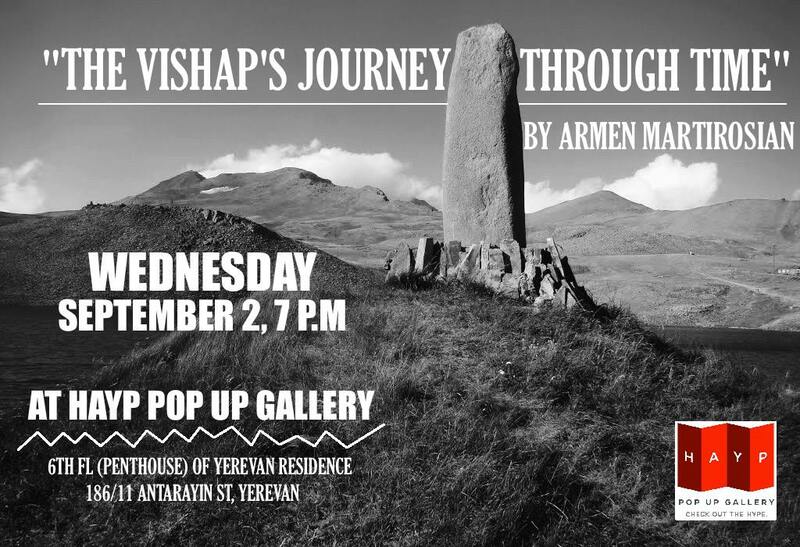 He will talk about the emergence and transformation of Armenia from the perspective of its pagan artifacts, including our VISHAP-A-KARS (Dragon stones), the inspiration for HAYP’s current exhibit. Aram Atamian will do a multimedia performance, exploring the crisis of fertility, the space between love and lust, manic pollination, Shakespeare’s epic poem “Venus & Adonis” and techno-romance. BA-AR-DIA Dance Studio (and therapy) will perform a contemporary piece choreographed by Hasmik Tangyan.